While this blog has mostly been focusing on some of my new work lately, my first book – which grew out of my doctoral dissertation and which was published last summer – has been getting some good early positive buzz. 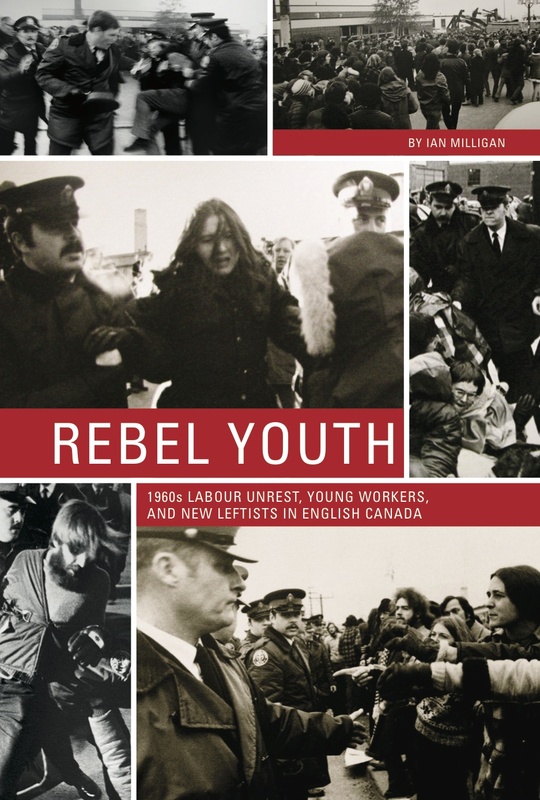 Most importantly, I learned on Wednesday that my book Rebel Youth: 1960s Labour Unrest, Young Workers, and New Leftists in English Canada was shortlisted for the Sir John A Macdonald Prize, which is given to the best book of Canadian historical non-fiction. You can read about it (and the four other books that made the cut) here. I’m shocked and honoured to be in such esteemed company. The final results will be announced in early June at the Canadian Historical Association’s annual meeting. Hope to see some of you there. Forgive my horn tooting. We’ll be back to our regularly-scheduled programming soon – and I actually have some pretty cool news to share with everybody in a few weeks (he says cryptically). Congrats on being shortlisted for the Macdonald Prize, Ian! That’s a big honour and I look forward to reading your book – well done! Congratulations Ian! That is fantastic – what an honour!